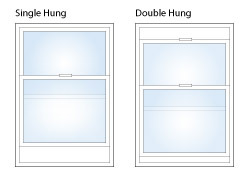 So do you know the difference between a Single or Double Hung window? How about Awning or Picture Window? I imagine most of us have seen them but never knew what they were called. Here is a brief explanation of each style. Before we start note that below I will be using the term sash which refers to a panel that forms a frame holding a pane of glass, usually moveable. 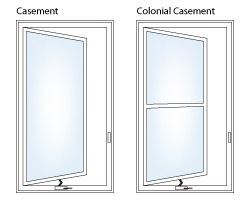 The top sash of the window is stationary, while the bottom sash lifts to open. Bottom sash also tilts in for easy cleaning. 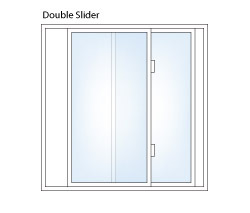 Both sashes on a double hung window slide to open and both tilt in to allow for easy cleaning. One sash is fixed while the other sash slides side to side to open and close. This window has two sashes both of which slide side to side to open and close. This window has a center sash that is stationary. The sashes on either side open and close by sliding side to side. The sash is hinged on one side and swings out up to 90 degrees by turning a crank at the base. Operates the same as a standard casement window but there is a decorative center rail that gives it the look of a single or double hung window. 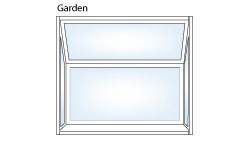 The sash of this window is hinged along the top and opens outwards via a crank at the base. This window does not open. 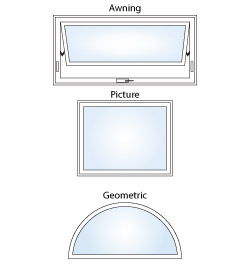 Geometric windows are like picture windows in that they do not open and come in a variety of shapes. Garden Windows extend out from the wall of the home. They have functional side sashes and optionally can come with a shelf. 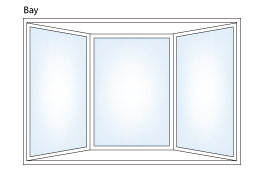 A bay window is made of 3 separate windows at a 30 or 45 degrees and extends out from the wall of the house. 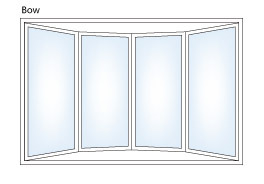 Bow windows are similar to Bay windows except the angle 10 degrees and they come in a range of windows 3-5. 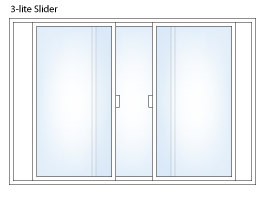 Windows truly come in a variety of shapes, sizes and styles. These are just some of the more common types. If you are considering replacing some or all of the windows in your home don’t hesitate to give K-Designers a call. We can help you make the best choice for your home. 800-728-3902 or visit us at www.k-designers.com.